If you don’t follow @copylab on Instagram, you’re missing some incredible work. Fashion intern and student, Chris Rellas, at Georgetown University, reworks art masterpieces to give them a fashion and beauty twist. Chris uses my favourite brand, Chanel, a lot so I’ve pulled out the best double C ones but really, check in on Instagram to see all the fashion pictures. 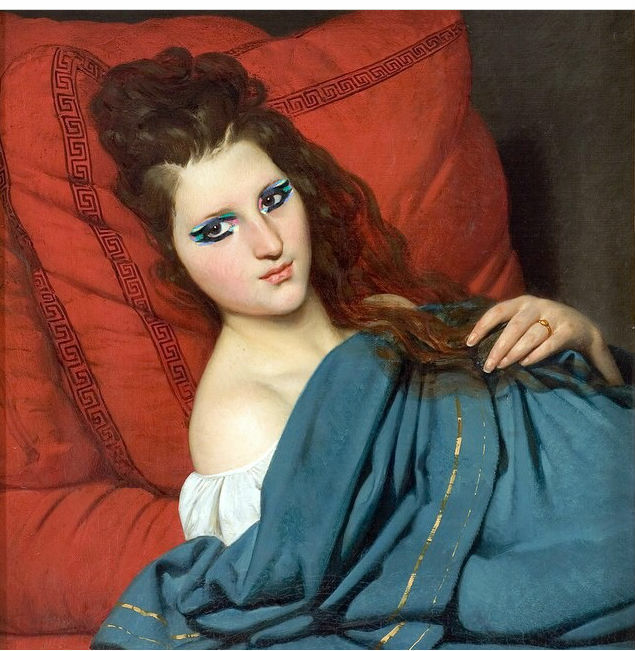 The painting above is Femme à mi-corps, couchée sur un divan by Joseph-Désiré Court, reworked with make-up inspiration from Chanel Spring 2014 Runway looks. 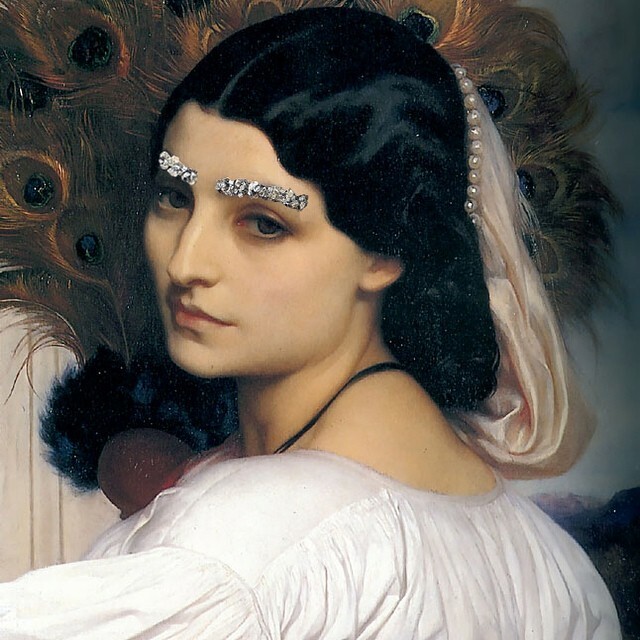 The original painting here, before the subject was given metallic brows is Pavonia by FredericLeighton. Remember the Chanel jewelled brows from autumn/winter 2013 runways? That’s them, right there! 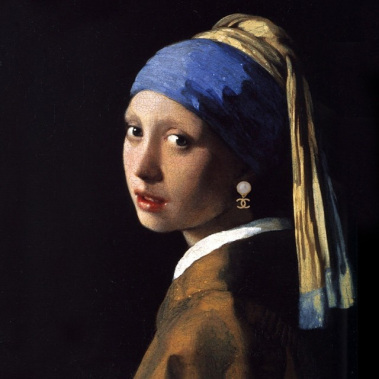 This is probably the most familiar painting – Girl With A Pearl Earring by Vermeer – and a cheeky Chanel shaped liberty taken with the earring! I love these – they’re so imaginative and interesting – and they’ve made me Google more info about fine art so educational, too!